Clay Eager (Wilbur Carl Eagy) was a frequent performer in the 1950's on WLW's Renfro Valley Barn Dance, the Midwestern Hayride and more. His rockabilly classic "Helen Jo" was written for his wife, Helen Jo Eager. In 1961, Cincinnati radio station WCKY-AM began broadcasting the live WCKY Ohio Jamboree from Madison Lake Park in London, Ohio with Clay Eager as the emcee and featuring both country and bluegrass music. 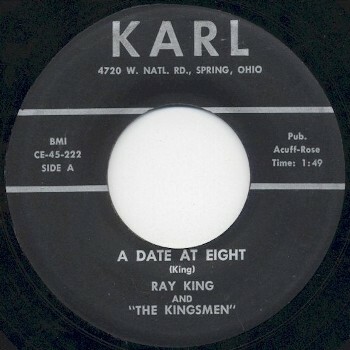 Clay recorded many of his fellow performers on his Karl label as well as other labels. Eager-Wood Productions was Clay Eager and his father-in-law, “Pops” Wood. Pops was in charge of the engineering at the jamboree and in the studio.